A free software to design websites that is also ridiculously easy to use sounds too good to be true. However, the former perfectly describes WordPress. This program is as exciting as the name sounds (Say it out loud thrice). WordPress is an open-source software for personal and business use alike to design websites and blogs. With over 60 million websites in use since its 2003 release, WordPress is inarguably one of the most popular web page development tools. Today, it powers almost 30% of the entire internet. If you are looking for a DIY solution to create and operate a professional website, then boy do we have tutorial for you. One would be selling WordPress short if they solely labeled it a web page development tool, so the article must go on. It is actually a powerful and highly flexible content management system (CMS). Once you design your website with WordPress you also have the ability to manage it, update it for search engine optimization (SEO), etc. 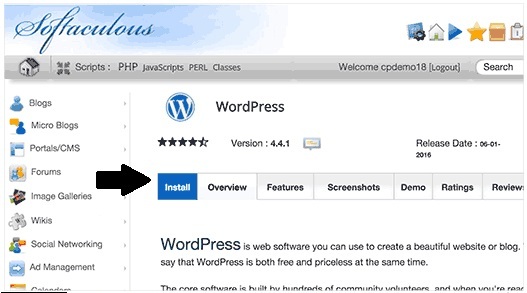 Here is a step-by-step guide on installing and setting up WordPress. Your domain is the name of your website as seen on your website URL. A host holds all of your website data from top to bottom and projects it to the World Wide Web. Now let us get started. We will walk you through WordPress installation on a Softaculous, a web application auto-installer script which is popular with numerous hosting services. Softaculous allows you to install web applications, WordPress included, in a matter of a few clicks. This probably explains the auto-installer’s popularity. First things first, login to your cPanel account. 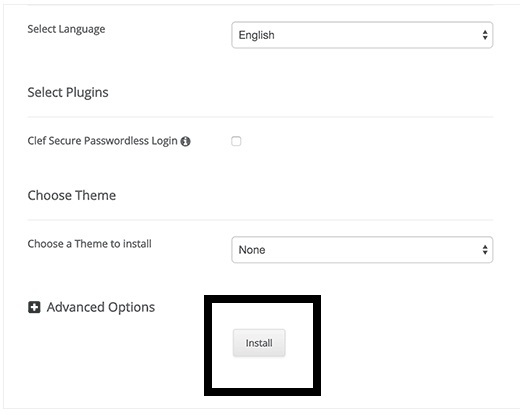 Under the section Auto Installers, find either the Softaculous or WordPress Installer icon. Selecting either one of these will launch the WordPress installation wizard. Now click on the Install button to proceed. Softacular prompts you to choose where you want to install WordPress. Select either http:// or http://www. You can also select https:// or https://www. if your site has SSL and HTTPS. Now you must choose the domain name where you want WordPress installed. At this point, you need to choose a username as administrator, password, and email address. 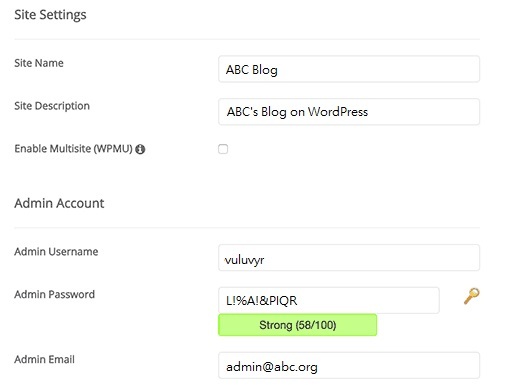 The username and password fields are automatically filled in by Softaculous. You could of course change these details according to your preference. However, we highly recommend you use a gibberish admin username and strong password as to avoid having predictable login information. You will now have completed all the required fields. Hit Install and let’s get the ball rolling. Based on the settings you keyed in, Softaculous will begin the installation process. Wait until the progress bar reaches 100% to close the window. Once you have completed the installation process, you will be greeted with this message. You can visit your website by clicking on the link provided. The website development process is easy to pick up and learn when working with WordPress. Building a solid website however, is a long and tedious process – As it is with anything you want to see good results in. Right off the bat, here are a few tasks to keep on your list once you have WordPress Installed. Your website needs to be visually appealing in order to create a premium user experience. When working with WordPress, your go-to tool for this is a well designed theme. There are simply countless themes in the WordPress collection. For beginners, this often makes the decision on which one to go with a bit difficult. At ThemeRox, we offer a live preview of all our themes so that you can play out a real-life scenario of how each one would look on your site. WordPress at its core is a powerful content management system, but the real potential of its functionality lies in its massive plugin inventory. These plugins can add an infinite range of different features and functions for your WordPress site. With over 40,000 free plugins available in the WordPress directory (and a countless amount of paid third party plugins), there is no limit to what you can accomplish on your site. Again however, such a wide variety makes it difficult for a beginner to choose their desired gems. Even a veteran developer relies on recommendations and guidance as to which plugins would work best for them. This is why we have narrowed the list down to 8 essential WordPress plugins for you to start off with. Undoubtedly, WordPress is the easiest content management system to learn and use. Otherwise, 30% of the entire World Wide Web would not be powered by it. On the other hand, with all the capabilities which this web development tool holds, there is a great deal to learn about WordPress. Luckily, the internet flourishes with articles and videos teaching you pretty much anything you could be wondering how to accomplish with WordPress. Begin your quest for knowledge asap! 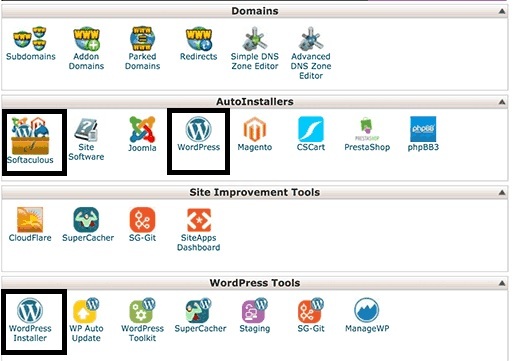 Hopefully, this guide has helped you to install WordPress and begin developing. We sincerely wish all of our readers the best of luck with their site, be it for their business or personal use. Check our blog regularly as we post new tutorials and guides every week.